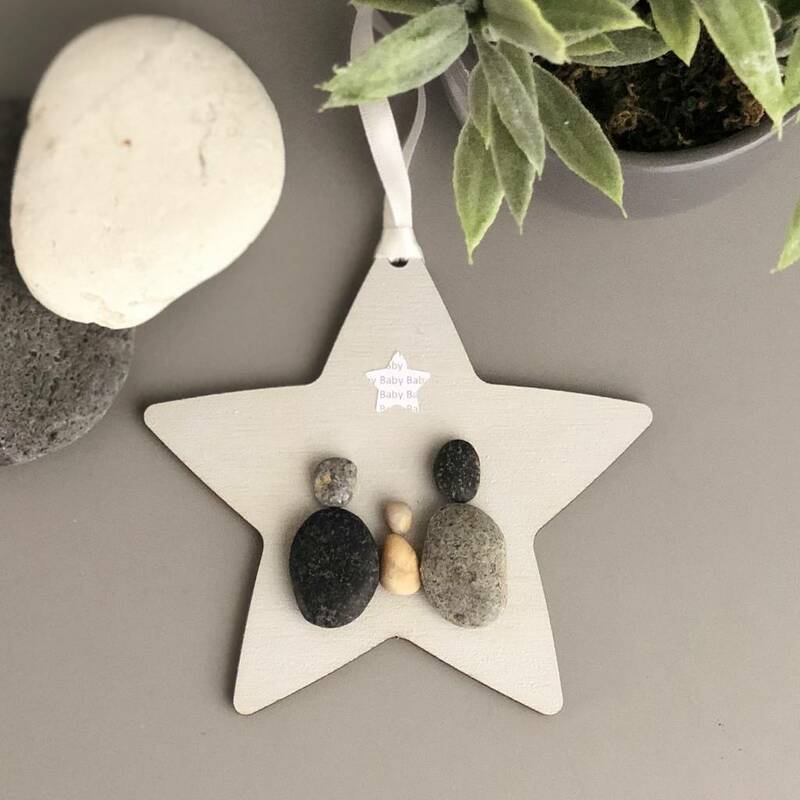 As part of our 'Pebble Collection' this hanging star keepsake decoration made for a new baby makes an ideal Birthday or Christmas gift. Two larger pebbles and one small pebble in the middle have been placed onto a grey painted wooden heart representing mummy, daddy and a new baby. A star shaped piece of card with your personalised words will be typed over and over and finishes the star keepsake decoration off perfectly. Each hanging decoration has been tied with a white satin finish ribbon, all ready to be hung in it's new home and arrives wrapped in tissue. 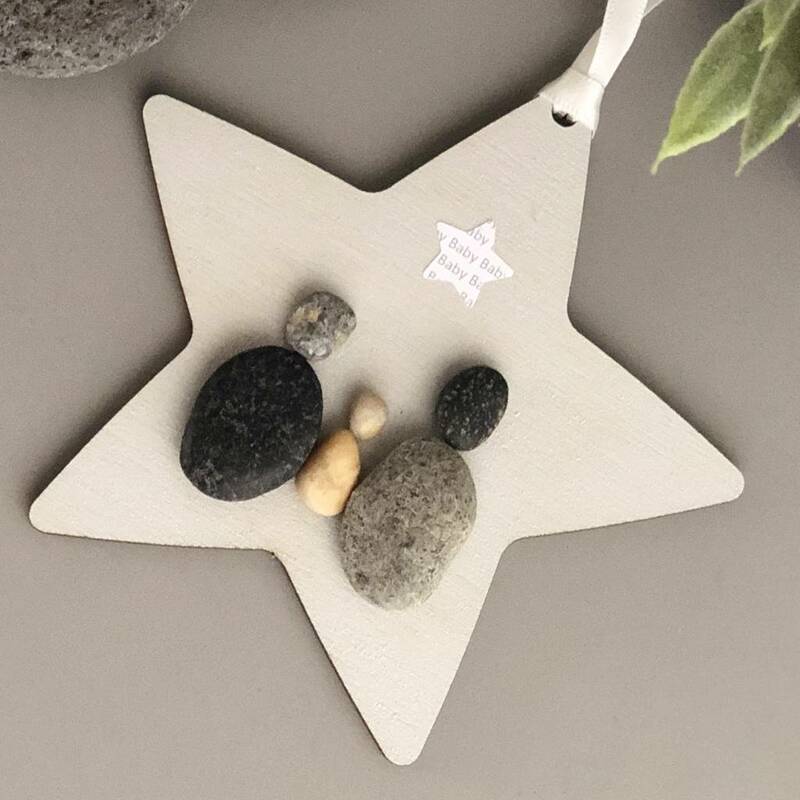 Each and every pebble, slate piece and card has been hand mounted so variations will apply creating a 'one of a kind keepsake' only adding further to it's charm and beauty. We cannot supply exact images. This product is dispatched to you by La de da! Living.